Native Cultures - Field Trips Delivered! 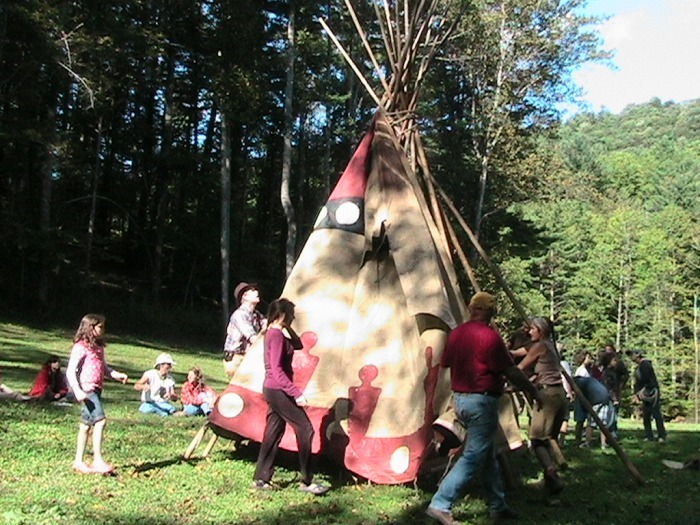 Native American culture has long held the fascination of modern Americans. The rich history of native peoples living on this continent for thousands of years before the discovery of the continent by Europeans lends much to the story of our time on "Turtle Island." 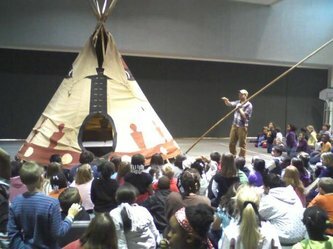 Our Native American History Programs focus on both Woodlands and Plains Indian Cultures. 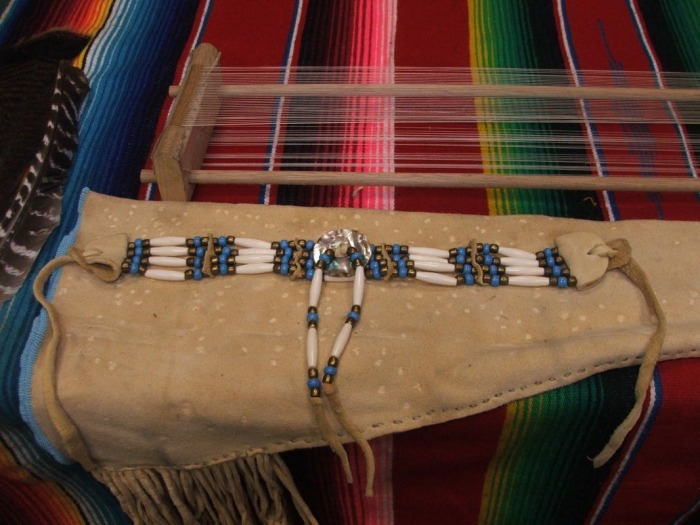 For North Carolina Curriculum Goals, we cover the history and lifeways of the Cherokee peoples, and touch on Plains Indian culture as well. Program Pricing Information may be found here! 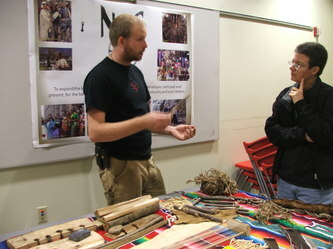 Brett's interest in Native American cultures and lifeways began at an early age. Enhanced through his years spent in the Boy Scouts of America, Brett's love of the outdoors and the natural world went hand in hand with his increased love for Indian history and skills. Having always wanted to live a more natural lifestyle, Brett took the plunge and moved into a tipi in October of 2006. He has been living there ever since. 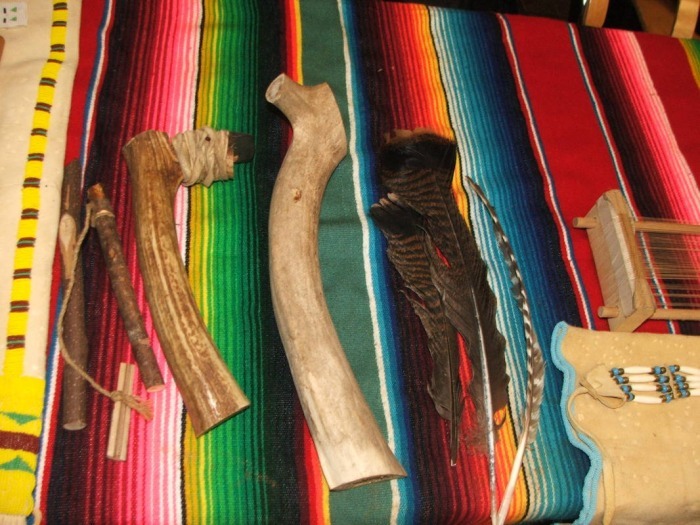 Living a non-electrical lifestyle has given him a whole new appreciation for the traditions and lifeways of primitive cultures, and offered him the opportunity to get a true glimpse into what it means to "live in the wild." Along with living in a tipi, Brett practices Native American style art, including beadwork, quillwork, leatherwork and clothing. 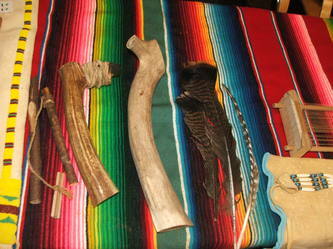 Hunting and gathering native foods where Brett lives helps sustain him. Brett heats his home with handmade wood fires, cooks over open flame and glowing coals, and lights his home with oil lamps and beeswax candles. He loves the simplicity and peace that tipi living brings, and his love and knowledge of Native American culture is ever expanding.